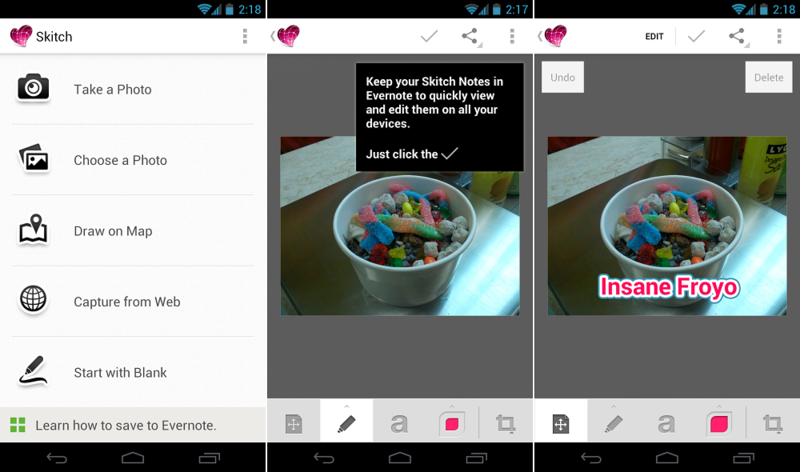 This morning, Skitch has received a hefty update that users are undoubtedly going to love. With a brand new holo theme and homepage, the app is prettier than ever and easily managed as well. With full integration with Evernote, saving images to your account has been made almost too easy. There are a couple new features for editing photos as well, so this is a pretty decent update. The update just went live, so go grab it now.